We have reported on the Whited00r project numerous times in the past and today we are excited to report that it has been updated to bring about iOS 6 functionality. If you have never heard of the Whited00r project, it is essentially a pre-Jailbroken custom firmware based on 3.1.2 , that enables some of the new functionality present in Apple’s latest firmware versions; in this case iOS 6. As the 3.1.2 firmware runs better on older devices like the iPhone 2G, iPhone 3G, iPod Touch 1G, iPod Touch 2G (MB model only) versus the 4.1.2 firmware, it definitely has its benefits over running a stock firmware version. You can take a look at some of the new features Whited00r 6 brings about below. Folders: Folders is such a useful functionality to iOS, that you forget that is wasn’t present on older firmware generations, and without folders your SpringBoard (home screen) is such a mess. Whited00r enables folders and it looks and functions just like the real deal. Reminders App: The Reminders app on my iPhone is probably one of the most frequently accessed applications and now it can be yours. 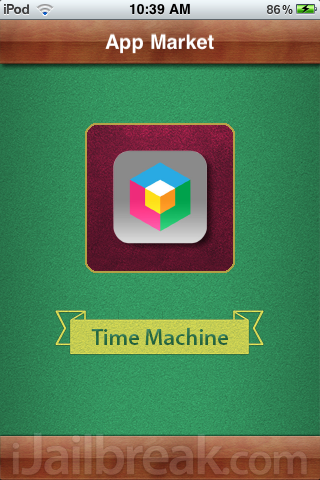 You can set reminders just like how you would on any device running iOS 6. App Switching: Multitasking is now a reality on your older generation iOS device. 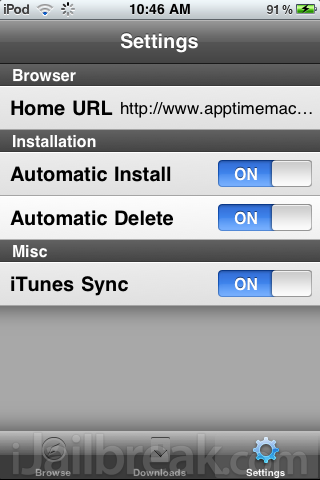 In Whited00r you will find a fully functional app switcher that looks very similar to the iOS 6 app switcher. Video Recording: Video recording was lacking on older iPhone generations, but with Whited00r you get one of the best video recording applications that integrates with the stock camera app. 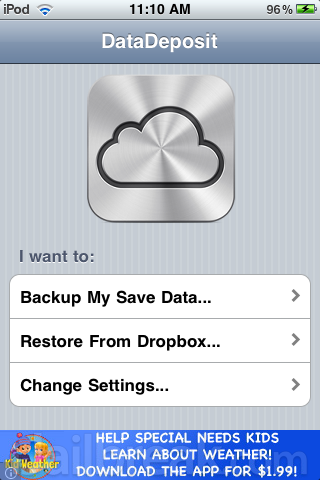 iOS 6 Sharing Menu: Just like how the iOS 6 firmware brought about a brand new sharing menu with sharing options such as Twitter, Facebook and Google+, Whited00r now includes a clone of this menu that can be found within Safari. 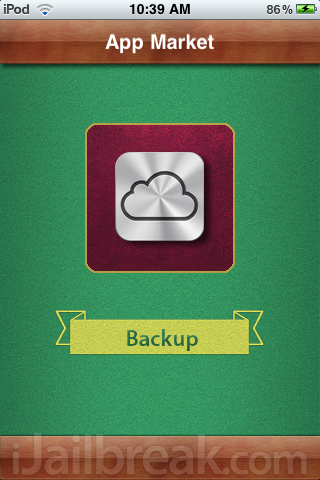 Cloud Backup: Although you won’t get iCloud backups, Whited00r brings about the ability to store your application documents and game saves through dropbox.You can even sync two Whited00r devices. Voice Control: Whited00r includes an improved voice control, that closely resembles Siri. Two App Stores: Whited00r actually has two app stores – the official App Store and one created by the Whited00r development team. As you will not find many applications compatible with the firmware version your iPhone or iPod Touch is running, the Whited00r App Store only contains compatible applications that have been pre-tested. Whited00r not only includes all of this functionality, but has been specifically built around speed. You will notice some big improvements to the overall performance of your iPhone or iPod Touch with Whited00r 6 installed. 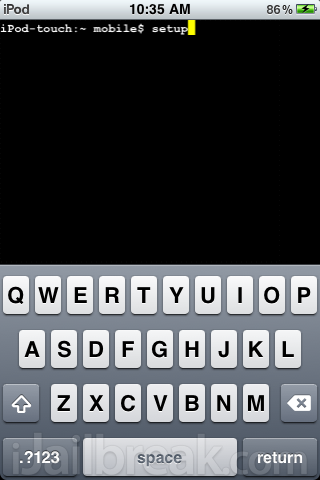 I actually installed Whited00r 6 on my iPod Touch 2G and you can take a look at some screen shots below. Overall I was impressed with Whited00r 6. I have used previous versions of Whited00r in the past and was disappointed by how sluggish and unresponsive it was. These problems have indeed been addressed however, and it works flawlessly. Some things that I was disappointed with was certain functionality not being present such as Voice Control, Folders and Multitasking. I am not sure whether these features have been disabled on the iPod Touch or if I installed a corrupt version of the firmware, but they were not present for me. 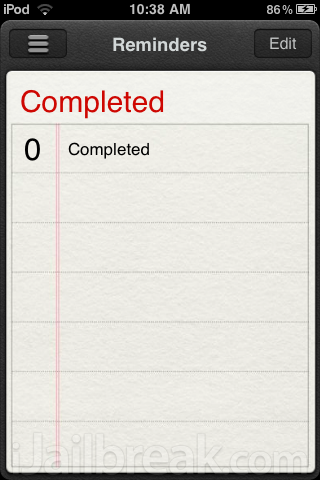 The Reminders app was also a disappointed and did not work for me, it looks to me as if it is just a barebones UI right now. Hopefully these issues will be addressed in the future, but in the mean time you can download Whited00r 6 using the mirrors below or from the iJailbreak Downloads Section. The normal version for iPhone is for those of you who do not rely on an unlock (meaning you stuck with the carrier you originally signed a contract for). If your iPhone is unlocked then you will obviously want to download the Unlocked version. 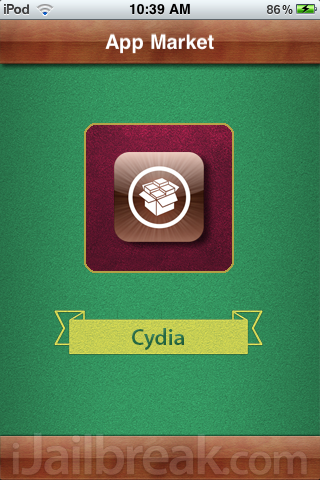 You can learn how to install Whited00r 6 on your iPhone or iPod Touch by following our official How To guide. Let us know what you think of Whited00r 6 in the comments section below. im currently testing it out and i must say im still disapointed…but on the flip side..iwas shocked to see the Sara was pre-built in the software so thats a def + in my book. No way, I’ll never go back to slug-mode thanks! 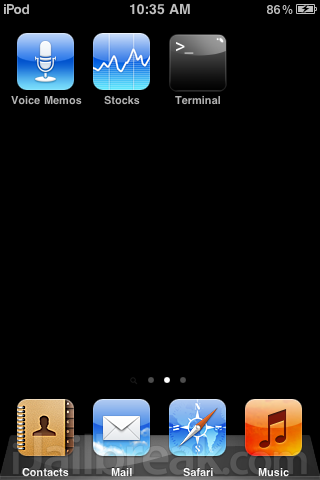 I’ve installed WD6 on iPhone3G and it rocks! I just need to know how Sara works … what are the commans? Installing it on my iPod 2 now! Too stoked! while restoring it says 1600 error what shuld i do now?? i dont know how to download whitedoor on my computor.i have tried it for so many times, but i can’t.i don’t konw why? can anybody helpe me?